Montpelier, Vt. — The Vermont Section of the American Society of Civil Engineers (ASCE) released the 2019 Report Card for Vermont’s Infrastructure, giving nine categories of infrastructure an overall grade of “C.” The report assigned the following grades: aviation (C-), bridges (C+), dams (C), drinking water (C-), energy (B-), roads (C+), solid waste (B-), stormwater (D+) and wastewater (D+). A “C” is the same overall grade the state received in the 2014 Report Card for Vermont’s Infrastructure. Energy earned one of the highest grades of a “B-.” As a result of a statewide energy modernization plan deployed in 2012, Vermont’s energy grid is in fairly good condition. This effort included installing smart meters throughout the state, upgrading and installing new automation controls and expanding the fiber optic backbone connecting the state’s substations. Although the state’s energy grid is stable, Vermont still depends on energy imports from neighboring states, particularly for fossil fuels and natural gas. Vermont is committed to a goal of 90 percent renewable energy by 2050 across all energy uses, with no coal or nuclear power plants and insignificant amounts of petroleum energy production. The stormwater and wastewater categories both earned the lowest grades in the Report Card, each taking home a “D+.” This is the state’s first year grading stormwater, and wastewater is up from a “D” in 2014. Vermont’s many rural communities lack sufficient stormwater utilities, full-time town managers and public works directors with capacity to plan for and manage stormwater infrastructure needs. Additionally, Vermont’s stormwater system is facing an investment gap of $1.24 billion over the next 20 years. However, Vermont is improving in this area by placing emphasis on installing Green Stormwater Infrastructure and utilizing Low Impact Development techniques where possible. Wastewater systems in the state require upgrades, particularly in areas where a wastewater overflow is possible and could threaten public safety. Thankfully, the funding gap for wastewater infrastructure needs is decreasing due to the effects of Vermont’s Clean Water Act; however, a 2017 Act 73 report found a five-year total wastewater funding gap of $18 million. Notably, Vermont’s bridges, up to a “C+” from “C” in 2014, and roads, up to a “C+” from a “C-,” saw improvements since the 2014 Report Card. 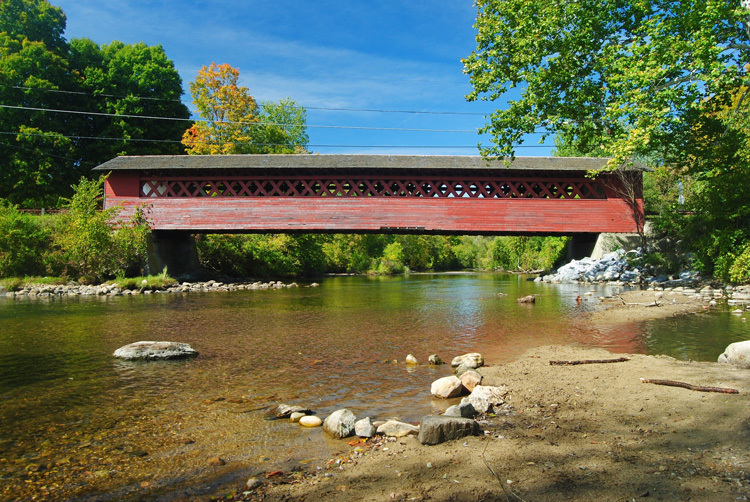 In recent years, Vermont has significantly reduced the number of structurally deficient bridges. Today, despite a shortfall in funding, approximately five percent of bridges are structurally deficient, compared with 9.6 percent in 2012. The state’s bridges, however, continue to age, with the average age of 57 years old, which is much higher than the national average of 43 years. Contrarily, roads improved due to prioritization of maintenance from the Vermont Agency of Transportation (VTrans). The percentage of miles in good and fair condition has grown in recent years, and the state sees little congestion. However, funding is required to keep this trend in check. Future needs are significant, as the state currently only has two thirds of the funding it needs to keep roads in a state of good repair. In addition to data and analysis, the Report Card offers six solutions to address the state’s infrastructure needs. Recommendations include increasing resiliency in infrastructure to prepare for increasingly severe storms and to support emergency response, as well as balancing the needs of urban and rural communities in the mostly rural state. The Report Card also suggests finding sustainable, local funding sources because the state currently relies heavily on federal funding. The Report Card for Vermont’s Infrastructure was created as a public service to citizens and policymakers to inform them of the infrastructure needs in the state. Civil engineers used their expertise and school report card letter grades to condense complicated data into an easy-to-understand analysis of Vermont’s infrastructure network. ASCE State Infrastructure Report Cards are modeled after the national Infrastructure Report Card (www.infrastructurereportcard.org), which gave America’s infrastructure a grade of “D+” in 2017. A full copy of the 2019 Report Card for Vermont’s Infrastructure is available at www.InfrastructureReportCard.org/Vermont.